FC Barcelona were held to a surprise 0-0 draw in today’s home fixture against Real Sociedad, a result that means they have lost their 2-point lead on second placed Atlético Madrid. The side now tied with Barça on 47 points won their own game 2-1 against struggling Santa Teresa – the same team that Barça will be facing next. Although the Catalans defended brilliantly and dominated the midfield, they lacked fortune in front of goal. 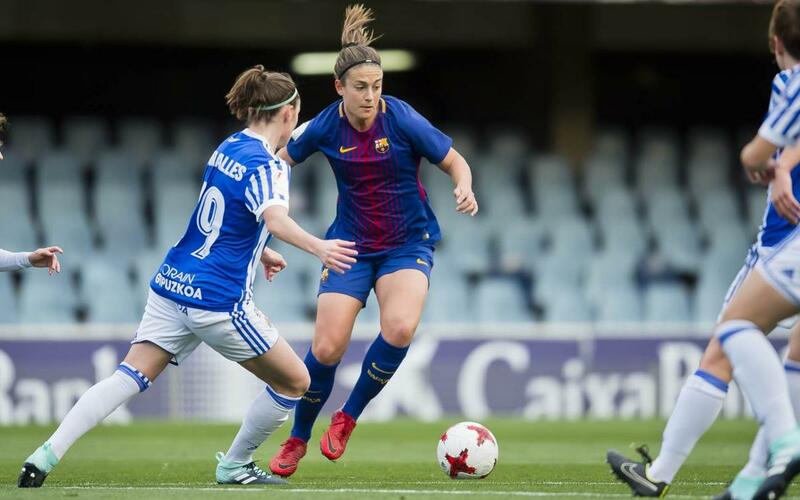 Lieke Martens, Marta Torrejón, Olga García and Toni Duggan had some of the best chances, and the entrance of Vicky Losada in the second half had a noticeable impact, but all to no avail. As the game drew to a close, the surge of the tide against the visiting goal became stronger and stronger, but the goal just did not want to come as the Basques did all they could and more to escape from the Miniestadi with a point.